Don't trash that old cell phone or tablet. Donate it to 'Cell Phones for Soldiers' instead! Don’t trash that old cell phone or tablet. Donate it to ‘Cell Phones for Soldiers’ instead! Every year millions of old cell phones and tablets are either recycled, sold for scrap or simply thrown in the trash. While recycling is certainly a lot better than clogging up our landfills with toxic materials, I have an even better option to tell you about. The folks at Cell Phones for Soldiers will wipe all of your personal information from your donated cell phone(s) and tablet(s) and then sell them to either a recycler or an electronic refurbisher for cash. They’ll then use the proceeds from the sale of your old devices to purchase pre-paid international calling cards for active duty military personnel and/or provide emergency funding to veterans in need. I don’t know about you, but that sounds like a pretty good deal to me! I try my best to make sure the charities I discuss on my blogs are operating on the up-and-up. To that end, I did a Google search on Cell Phones for Soldiers to see if I could find any reports of outright fraud or deception. I didn’t. Charity Navigator (a service I greatly respect) gives Cell Phones for Soldiers a rating of only 1 out of 4 stars, probably because only 68% of their proceeds go towards funding the programs and services they provide. But I happen to believe that rating is misleading. I don’t know about you, but that seems like a reasonable breakdown to me, especially when you consider the overhead required to acquire the donated devices, work out deals with the refurbishers and recyclers and pay for advertising. One complaint I did see over and over was about the fact that the donated phones aren’t actually passed on to military personnel for them to use to call home. But if you think about it, that wouldn’t really be the most effective use of the donated devices because they’d have to hire trained staff to refurbish the working phones and repair the non-working ones, possibly leaving them with even less than 68% of their operating budget to spend on services for the soldiers and vets. It seems to me that selling the donated devices outright and then using the proceeds to buy international calling cards for the troops is indeed the best way to go. “WHAT DO YOU DO WITH THE DONATED CELL PHONES? That seems pretty clear and quite reasonable to me. While I would prefer to see an even larger percentage of the money they take in a actually be spent on the troops and our vets, I don’t believe that 68% is an unreasonable amount. I’ve tried my best to explain everything I discovered when I investigated this charity – both the good and the bad. I’ll leave it to you to decide for yourself whether you think donating your old phones and tablets to them is a good thing to do. My personal opinion is if even just a handful of active duty service members and vets receive needed help that wouldn’t be available to them otherwise, I’d rather donate my old devices to Cell Phones for Soldiers than pass them off to a recycler or throw them in the trash. Just sayin’. 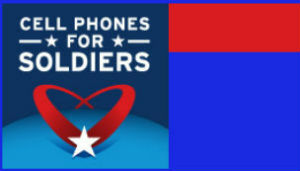 1 – If you have 10 or more devices to donate Cell Phones for Soldiers will pay the shipping charge for you. Ask a couple of friends to donate along with you and you’ll probably have no trouble coming up with at least 10 of them. 2 – If you decide to donate your device(s) I recommend that you wipe it yourself before you send it off just to be 100% certain that your personal info won’t be intercepted somewhere along the way.